This pasta salad is a winner. You can prepare this salad with most any type of pasta. 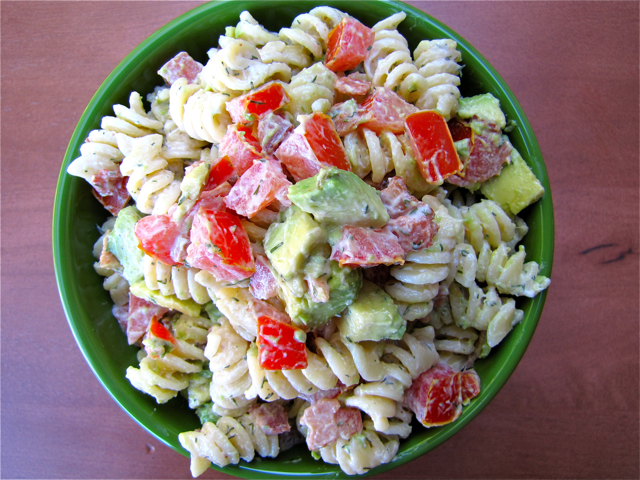 Pasta salad is usually served in the summer and at a lot of pot lucks. This is an easy salad to put together and you could add any vegetables you like. This is best if you let it chill for at least 8 hours. In medium bowl combine sauce ingredients adding salts to your taste. Add remaining ingredients and chill.